Note the Romanian Order of Michael the Brave, 3rd Class pinned to his left breast. Note the black & white ribbon with crossed swords and crown device tucked through his buttonhole: this represents his Prussian Knight's Cross with Swords of the Royal Hohenzollern House Order. Note the Romanian Order of Michael the Brave, 2nd Class suspended beneath von Manstein’s Knight’s Cross of the Iron Cross. His military career started in 1906 when he was commissioned in the Imperial Army. From the start of WWII to February 1940 he was Chief Of Staff for the army group commanded by General Gerd Von Rundstedt. In this post he established the operations plans for Hitler's successful campaign in the West, being the mastermind behind the Blitzkrieg tactic used against France in 1940. Von Manstein was rewarded for his ingenuity in July 1942 after the fall of Sevastopol, when he was promoted to General Field Marshal (effective 1 July 1942). He was then transferred to the Eastern Front where he was given command of the Eleventh army which successfully conquered the Crimea and Sevastopol for the Third Reich. After the fall of the Sevastopol, Hitler sent Von Manstein to Leningrad. He had been asked to take part in the plot against Hitler. Although at first willing, he later refused and drew away from the plot. 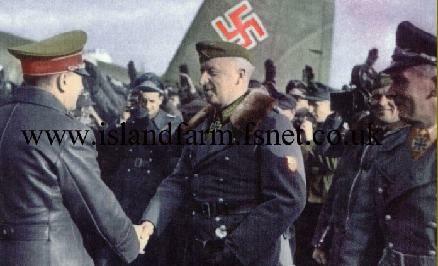 At the close of the war, Manstein was captured and brought to Bridgend. In August 1948 he returned to Germany for trial before a British military court. After the trial, which lasted for four months, he was sentenced to 18 years imprisonment. He was however acquitted of the charge of having "ordered, authorised and permitted" mass extermination of Jews and others in Russia. The sentence was reduced to 12 years. In 1952 he was released on parole to enter hospital for an eye operation. He was finally released in May 1953 and died in Munich on June 12th 1973 at the age of 85. 24 November 1885: Born in Berlin. Son of General der Artillerie Eduard von Lewinski; adopted by his mother's childless sister Hedwig (née von Sperling), married to General der Infanterie Georg von Manstein. 1893-1895: Educated at Strasbourg Lycée. Later, cadet at Plön and Berlin. Also served in Corps of Pages at court of Kaiser Wilhelm II. 6 April 1906: Entered active service as a Fähnrich in 3. Garde-Regiment zu Fuß. 27 January 1907: Promoted Leutnant. 1 July 1911: Battalion adjutant, 3. Garde-Regiment zu Fuß. 1913-1914: Attended the War Academy in Berlin for General Staff training. 19 June 1914: Promoted Oberleutnant. 2 August 1914: Regimental adjutant, 2. Garde-Reserve-Regiment; fought in Belgium and Eastern Front. November 1914: Severely wounded on the Eastern Front. 17 June 1915: Staff officer, Army Group "Gallwitz" in Poland and Serbia. 24 July 1915: Promoted Hauptmann. 19 August 1915: Adjutant, 12th Army. 22 January 1916: Staff officer, 11th Army on Verdun Front. July 1916: Staff officer, 1st Army on the Somme. 1917: Operations officer (Ia), 4th Cavalry Division in Courland. May 1918: Operations officer (Ia), 213th (Assault) Reserve Division on the Western Front. 1919: General Staff officer, Grenschutz Ost (Frontier Defense East) at Breslau. 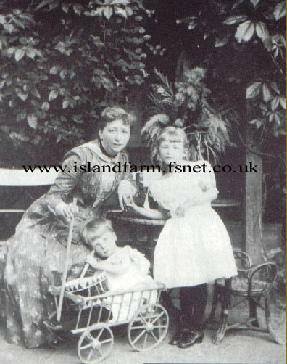 1920: Married Jutta Sybille von Loesch with whom he had two sons and one daughter. 1 October 1920: Company commander, Infantry Regiment 5 at Angermunde. 1923-1927: Staff officer, Wehrkreis I (Königsberg), II (Stettin) and IV (Dresden). 1 February 1927: Promoted Major. 1 October 1927: Staff officer, Infantry Leader IV at Dresden. 1 September 1929: Operations Branch of the Truppenamt. 1 April 1932: Promoted Oberstleutnant. 1 October 1932: Commander, Jäger Battalion of Infantry Regiment 4 at Kolber. 1 December 1933: Promoted Oberst. 1 February 1934: Chief of Staff to Generalmajor Erwin von Witzleben, commander of Wehrkreis III, Berlin. 1 July 1935: Head of Operations Branch of the Army General Staff. 1 October 1936: Promoted Generalmajor. 6 October 1936: Oberquartermeister I (deputy chief of staff) to General der Artillerie Ludwig Beck, Chief of the Army General Staff. 4 February 1938: Commander, Infantry Regiment 18 at Liegnitz. Later recalled to staff service as Chief of Staff to Generaloberst Wilhelm Ritter von Leeb, Commander-in-Chief, 12th Army during the Munich crisis. 1 April 1939: Promoted Generalleutnant. 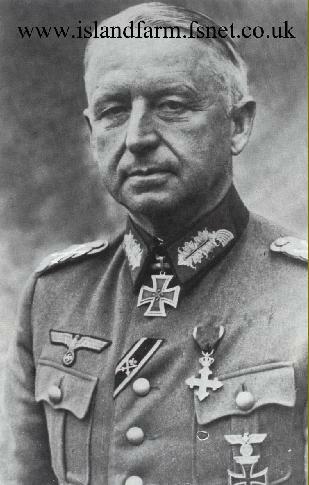 18 August 1939: Chief of Staff to Commander-in-Chief, East, later, Army Group South (Generaloberst Gerd von Rundstedt) during Polish campaign. 23 October 1939: Chief of Staff, Army Group A (Rundstedt) in West. 15 February 1940: Commanding General, XXXVIII Army Corps (led corps during French campaign, May-June 1940). 1 June 1940: Promoted General der Infanterie. 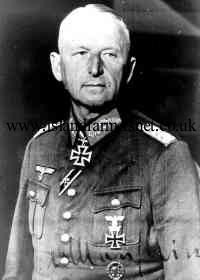 19 July 1940: Awarded Knight's Cross of the Iron Cross. Late February 1941: Commanding General, LVI Army Corps. Engaged in invasion of Soviet Union from 22 June 1941. 13 September 1914: Commander-in-Chief, 11th Army in Rundstedt's Army Group South in Russia (succeeded Generaloberst Eugen Ritter von Schobert who was killed on 12 September 1941 when his aircraft landed in a minefield). His army received the mission of securing the Crimea. 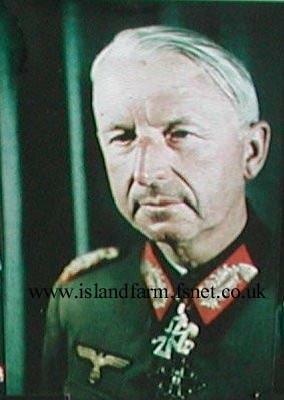 1 July 1942: Promoted Generalfeldmarschall after successful conquest of the Crimea. 29 October 1942: Eldest son, Leutnant Gero von Manstein (born 31 December 1922) was killed in action on the northern sector of the Russian Front. 22 November 1942: Commander-in-Chief, Army Group Don (renamed Army Group South in February 1943) in Russia.